Support our Crew, Wear Gold and Blue! 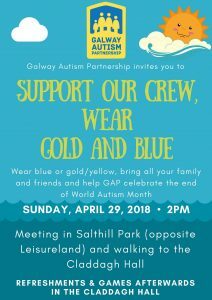 GAP are holding a walk to celebrate World Autism Month in Salthill on Sunday, the 29th of April at 2pm. 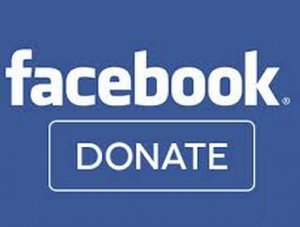 Help GAP celebrate the end of a fantastic World Autism Month – sponsorship cards are available if you’d like to raise some money but you’re not obliged to get sponsored for the walk. More than anything, we want a large crowd walking the Prom together and spreading awareness and understanding of Autism. Family, friends, dogs and everyone in between are welcome to join us to turn the Prom the GAP colours – Gold (or yellow) & Blue! We’ll be walking from Salthill park (opposite Leisureland) to the Claddagh Hall where we’ll have music, refreshments, games and face painting.